In the “future of news” conversations, television news — especially local — can sometimes be overlooked. But it’s still a vital source of journalism for communities across the United States. Though digital sources are ever rising, local TV news still reaches a significant chunk of Americans. Last year, Pew Research Center found that 50 percent were often getting news from TV compared to 43 percent often getting it online, though local TV news use declined the most. Over the years, local TV news’ audience has steadily declined while stations have been dedicating more and more hours to it — and as digital advertising grew. Broadcast companies have attempted to reinvent local TV news in the digital age, but it’s still a work in progress. And with the Federal Communication Commission’s decision to remove the main studio rule, no longer requiring AM, FM, and TV stations to maintain a primary studio in or near their local community of broadcast, more changes are imminent. But Americans continue to choose local newscasts over cable and network programs. To assess the situation, Knight talked to 200 television news leaders about news innovation. They focused on one question in particular: What are television newsrooms doing today to ensure their place as strong community news providers in the future? “This support is driven by the knowledge that today’s television journalists are working to reach audiences well beyond those watching the six o’clock news. We are investing in innovation so these organizations might prepare for the future,” wrote Karen Rundlet, Knight’s journalism program director. Arizona State University’s Walter Cronkite School of Journalism | $1.9 million | Phoenix: The Walter Cronkite School of Journalism and AZPBS, the television station it operates, will act as an innovation hub to reimagine local television news. Faculty and students will collaborate with journalists and executives from commercial and public television stations to test new digital tools and storytelling forms, as well as data, mobile delivery, and audience engagement methods. The innovation hub will share the most comprehensive database of local television and digital news innovation taking place in the industry. The school will also host an annual convening for journalists producing innovative work in television and online video. It will partner with professional journalism organizations to host smaller meetings throughout the year. Emma Bowen Foundation | $250,000 | New York: Diversity and inclusion in newsroom leadership and staff are essential to guaranteeing accuracy in journalism. The Emma Bowen Foundation was founded in 1989 to diversify the news and media industries by giving promising students of color the opportunity to intern at leading U.S. media companies. 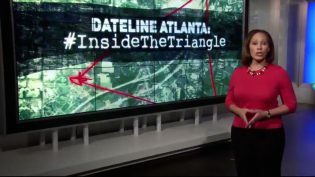 Knight funding will be used to identify local television partners in three cities where Knight invests – Detroit; Macon, Georgia; and Charlotte, North Carolina – and recruit 20 college students of color to work on journalism or media innovation during multiyear paid internships. The fellow resumes will then be entered in a “candidates for hire” bank aimed at further career development. Fellows will also be introduced to senior executives who might serve as career mentors and sponsors. Investigative Reporters and Editors Inc. | $390,000 | Columbia, Missouri: Investigative Reporters and Editors will build a network of local television journalists committed to producing watchdog journalism, through regional workshops, data bootcamp trainings, and a new digital TV Watchdog Network. It will increase training around investigative, data, and accountability reporting with an emphasis on using public records and data. Nine regional workshops will be hosted over the three-year funding period. In addition, six TV journalists each year will be selected to attend an intensive weeklong data bootcamp at the University of Missouri. These fellows will receive 20 hours of data services, such as analysis and visualization, to help them apply their new skills; they will also attend the national NICAR conference. IRE will further create a TV watchdog portal, featuring digital tools, success stories, and other materials. Professional development resources for TV journalists, including webinars, podcasts, and short video tutorials, will help them further update their skills. Radio Television News Directors Foundation | $55,000 | Washington, D.C.: The Radio Television Digital News Association will design a new training conference that promotes the First Amendment, high quality reporting, and innovation in the broadcast and digital news industry. The annual conference will offer skills training and knowledge sharing around these topics and others, such as audience engagement, data, virtual reality, and Freedom of Information Act (FOIA) requests. The association will further collaborate with television journalists in local communities around innovation, diversity, and inclusion, and new methods to strengthen high-quality reporting. The Carole Kneeland Project for Responsible Television Journalism | $50,000 | Austin, Texas: The Kneeland Project will convene and train broadcast and digital newsrooms leadership on topics including: community engagement, ethics, and digital strategy. It will specifically engage local news directors from geographically diverse markets for these trainings so they may better recognize opportunities and address challenges in their newsrooms. Newsroom leadership will further benefit from continuing education and ongoing support to ensure the development of stronger and more ethical teams of television journalists, both broadcast and digital, in markets large and small across the U.S.
Schmidt, Christine. "Local TV news gets a $2.6 million boost from the Knight Foundation." Nieman Journalism Lab. Nieman Foundation for Journalism at Harvard, 8 Feb. 2018. Web. 19 Apr. 2019. Schmidt, Christine. "Local TV news gets a $2.6 million boost from the Knight Foundation." Nieman Journalism Lab. Last modified February 8, 2018. Accessed April 19, 2019. https://www.niemanlab.org/2018/02/local-tv-news-gets-a-2-6-million-boost-from-the-knight-foundation/.